Statement sleeves are a Roksanda signature, so it's no surprise that they feature in the designer's bridal collection, too. 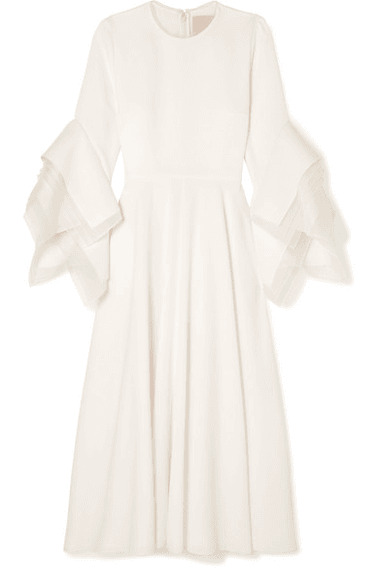 Cut from fluid ivory crepe, this dress is trimmed with petal-like layers of tulle at the cuffs and neckline. The swishy midi hemline gracefully moves with you so it'll look beautiful as you float down the aisle or take to the floor for the first dance, but if you prefer something with a smoother finish through the skirt, don't miss this version.